Mental well being is a primary pillar of health. Everybody strives for optimal concentration, memory, sleep patterns and emotional balance. Western allopathic medicine and modern psychology can be dramatically augmented with the medical science of Ayurveda. Ayurveda understands the functioning of the human mind according to three gunas (qualities). The three gunas that influence the mind are sattva, rajas and tamas. Each guna describes a state of mental presence. By grasping how the gunas effect the functioning of the mind, Ayurveda makes very specific nutritional and lifestyle modification recommendations before recommending western medical pharmaceuticals. Sattva is a state of balanced, positive, pure and peaceful personality. Sattva is associated with saints, angels and sages. Most people who meditate strive to find a state of sattva. People who are sattva predominant are capable of great kindness, selflessness, divinity, self introspection, non-egoic discrimination and understanding the world through objective truth. Rajas is a state of extroverted action which can facilitate great accomplishments in life. However, when rajas is excessively elevated it creates rajasic personality imbalances. Rajasic imbalances are demonstrated by competitiveness, aggression, anger, envy, hostility, frustration, hyperactivity, restlessness, insomnia or anxiety. These conditions should first be evaluated in terms of elevated Vata or Pitta and treated with nutritional and lifestyle modifications. Learn more about Vata and Pitta doshas by reading my article here Ayurveda Introduction – Doshas 101. Tamas is a state of inactivity that allows the human body and mind to rest. However, when tamas becomes pathological it is exhibited through mental dullness, sluggishness, laziness, lethargy, depression and fatigue. Ayurveda understands that is most often caused by an aggravation of Kapha ascended to the brain. Read my article Ayurveda Introduction – Doshas 101 to learn about Kapha. Furthermore, abnormal Kapha can produce aama, a metabolic toxin, which further aggravates mental fogginess and depression. Read my article, Aama – Metobolic toxicity to learn about the sign, symptoms and remedies related to aama. Kapha or aama induced tamas can be reduced by nutritional and lifestyle changes. In western medicine, the first modality of treatment for mood and emotional abnormalities is often pharmaceuticals. Ayurveda addresses nutrition and lifestyles first. So before you or a loved one begins prescription psych medications, consider a change in diet and habituations to manage vata or pitta induced rajas as well as kapha or aama induced tamas. Read my article Ayurvedic Nutrition Guidelines for Balanced Doshas to understand what foods aggravate Vata, Pitta and Kapha. You can also click here to watch this series of videos I created on each dosha that outlines how to get balanced through nutrition. Dr. Christie Smirl has over 25 years of medical experience. She completed a Doctorate of Ayurvedic Medicine from American University of Complimentary Medicine as well as Nurse Practitioner and Master of Science from Loma Linda University. Dr. Christie is also an E-RYT 500 Yoga Teacher Trainer YACEP, Reiki Master/Teacher, Tantric Energy Healer and Musician. Follow Dr. Christie Smirl by connecting with her below, just click the connection icons. Healthier Vibrations by Dr. Christie Smirl is dedicated to providing education on Ayurveda, Integrative Medicine, nutrition, yoga teacher training, meditation, breath work pranayama, kirtan, subtle tantra therapies and spirituality. Dr. Christie is a Doctor of Ayurveda, Nurse Practitioner, M.S, Reiki Master, Yoga Teacher Trainer, ERYT500, YACEP and Sound Healer. She believes that everybody is capable of deep healing on all levels through a combination of Western and Eastern sciences and arts. 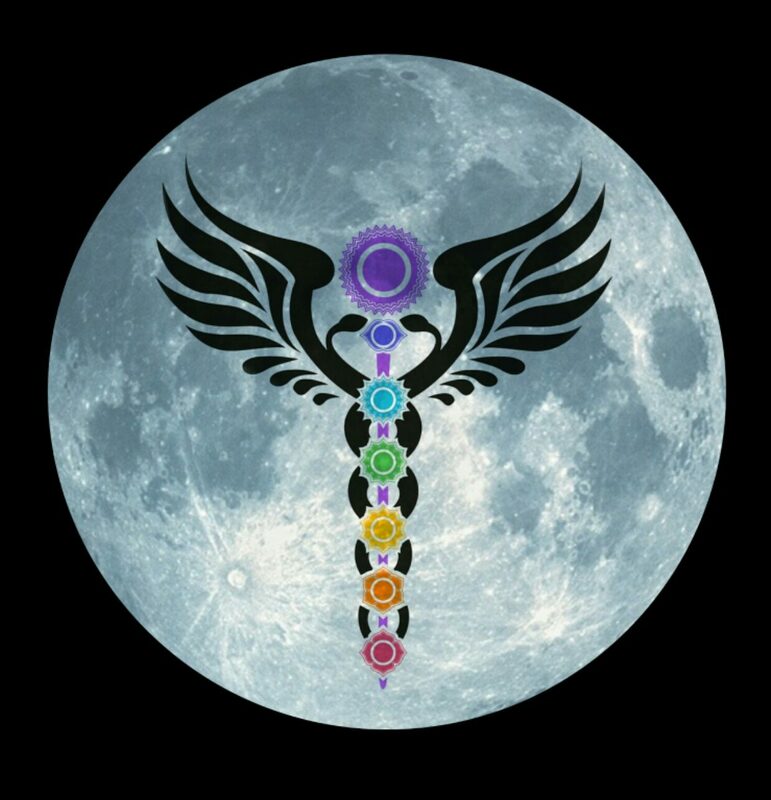 Her motto is HEAL YOURSELF, HELP HEAL ANOTHER PERSON, BEGIN HEALING THE WORLD.